Somehow Seedling seem to reinvent all the things I loved as a child, only better. There’s a lot to be said for classic toys that never go out of style. If you haven’t discovered the joy of Seedling kits yet, prepare yourself (I mean the kids!) for some fun. Apart from the huge range of kits available – there’s something for everyone from mini-green thumbs and aspiring rock stars to little super heroes and would-be chefs – the kits are complete with everything you’ll need to make something fabulous. This is an important feature to stress because there is nothing worse than your kids ripping into an activity only to find half the things needed to complete a project aren’t on hand. Seedling have lots of new kits available for holiday fun. 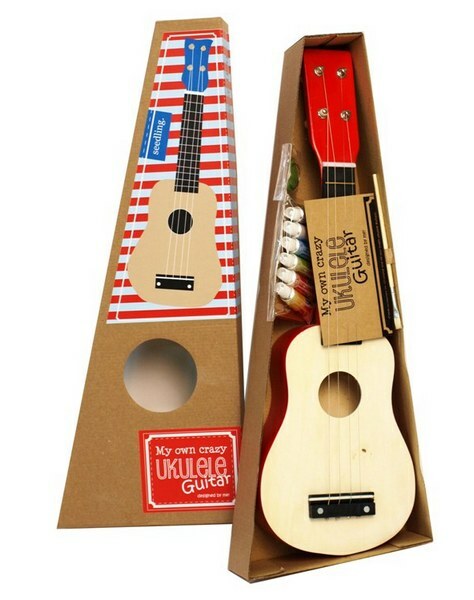 The sounds of summer 2011 will surely be from über-cool design-your-own ukulele, drum or recorder kits – what kid doesn’t like making loud music?! As a big fan of snail-mail, the I’ll Write You Postcard Set containing design-your-own postcards and pencils is perfect for summer holidays. Kids love sending mail as much as receiving it and I think hand drawn holiday greeting to friends and family would be pretty special. 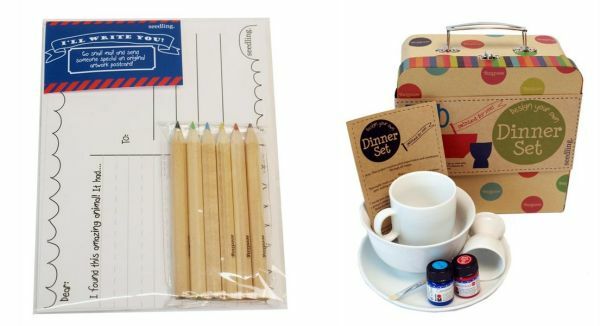 Team it with a Junior Postman Mail Kit for ultimate postal fun. 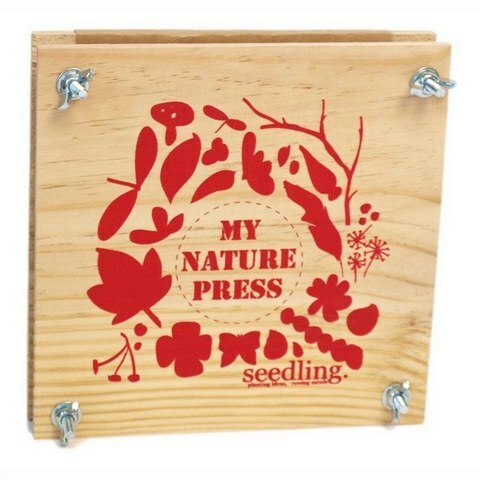 There’s lots more at Seedling including stickers, designer-your-own dinner sets and great little kits for aspiring fashion designers but I must make special mention of the My Nature Press. I loved pressing flowers and leaves when I was little – lately I’ve been thinking that my daughter, an avid picker of flowers, could do with a nature press to extend the life of her floral selections! Seedling kits are available directly from Seedling. The design-your-own Ukulele is NZ$71.45, the Nature Press is NZ$33.45 and the I’ll Write You Postcard Set is NZ$7.00. If you prefer to shop in Australian dollars, or need kits in a hurry for Christmas, you’ll find a selection at Tree Top Toy Shop, with prices from $19.95.